November 2015, NICE (National Institute for Health and Clinical Excellence) UK, issued their first guideline on menopause to stop women suffering in silence. More than a million women could benefit from the first NICE clinical guideline on diagnosing and managing menopause. 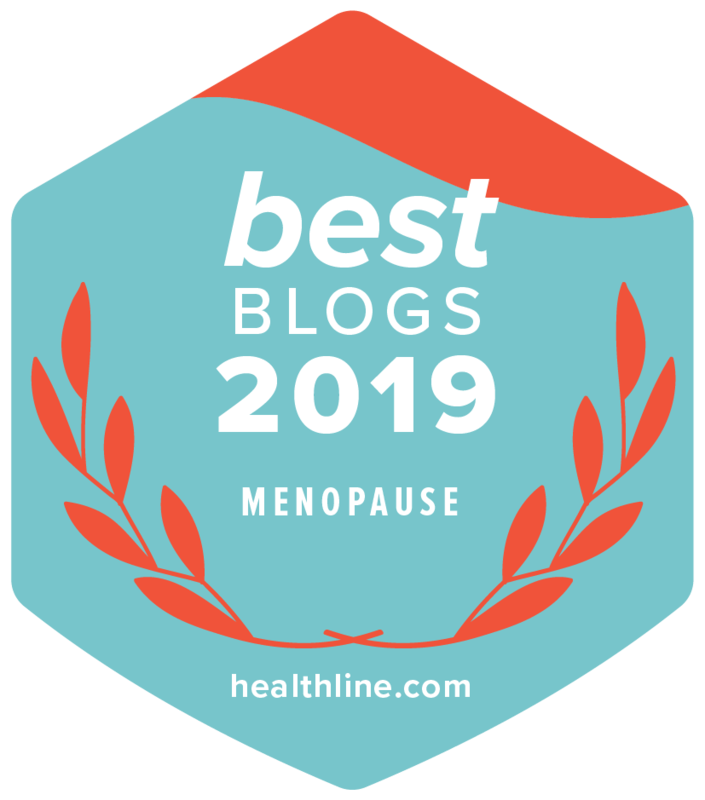 I receive many emails from women whose main gripe is that their doctor is dismissive of their menopause symptoms and that discussions about HRT very much depends upon which doctor they are talking to. Hopefully the new guideline will improve the doctor/patient relationship on the subject of menopause for the future. NICE has published wide-ranging recommendations for the NHS on the support, information and treatments needed to address the often debilitating symptoms of menopause. The guideline covers determining if menopause has started, prescribed and non-prescription treatment options that help with the physical and psychological symptoms of menopause and provides clarity on the benefits and risks associated with taking HRT (hormone replacement therapy). The guideline also focuses on the often overlooked needs of women experiencing premature menopause (under the age of 40) and women who have a surgically induced menopause either as a result of treatment for hormone-dependent cancer or gynaecological conditions. The guideline also includes a section on breast cancer as part of the section on the long-term benefits and risks of HRT. There has been a great deal written in the media about HRT and breast cancer risk, unfortunately, much of it has been incorrect and alarmist. NICE are reporting risk as absolute figures rather than percentage of relative risk i.e. a risk referred to as ‘doubled’ or ‘100% increase’ sounds much more alarming than the absolute figures i.e. 1 case per 1000 to 2 cases per 1000. The NICE guideline also clearly describes different effects from different types of HRT. NICE confirms that HRT with estrogen alone is associated with little or no change in the incidence of breast cancer. The absolute figure given is for 4 fewer cases of breast cancer in women taking estrogen only HRT per 1000 menopausal women over 7.5 years, based on baseline risk for that group being 22.48 per 1000. NICE confirms that for women who take combined HRT this can be associated with an increase in the incidence of breast cancer. The absolute figure given is 5 more cases of breast cancer in women taking combined HRT per 1000 menopausal women over 7.5 years, based on baseline as noted. This increase in risk appears to be associated with the length of time that HRT is taken, the risk being higher when combined HRT is used for more than 4 years. However, the risk reduces and returns to each woman’s baseline risk after HRT is stopped. Another point highlighted by NICE is that mortality from breast cancer does not appear to be increased compared to women who develop breast cancer and are not taking HRT. NICE concludes that combined HRT may, in a small number of women, stimulate the growth of cancer cells which are already present, rather than cause breast cells to turn into cancer. NICE concludes that with the knowledge that estrogen only seems to be less likely to affect risk than combined HRT, it has been suggested that certain types of progestogen may also differ in association with risk. NICE states that evidence is not yet strong enough to recommend that certain types of progestogen were better than others. NICE recommends that further research be carried out to determine this. If you are visiting your doctor to discuss your menopause symptoms, you need to take charge of your appointment to get the answers you need. Reading the two NICE documents above will give you a head start together with reviewing and reading the relevant articles contained on the symptoms of menopause page. You will find it beneficial to chart your symptoms when you first become aware of changes. You can download a Personal Symptom Checker Chart here. You can use this as an aide-memoire. Keep a note of any questions you have beforehand and make sure you get them answered. Jot down the answers your doctor provides and don’t be afraid to repeat the information back to make sure your fully understand what they are telling you. Although not an easy thing to do, if you are truly unhappy with your doctor, ask for a referral to a menopause specialist.